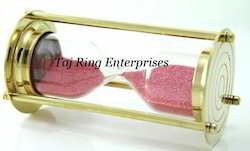 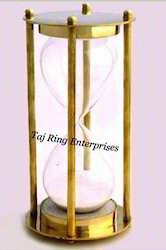 We are one of the leading Manufacturer & Exporter of of Sand Timer. 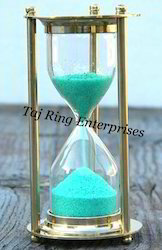 We offer high quality nautical reproduction handicrafts such as sand timers.We provide this product in the market at a very reasonable rate. 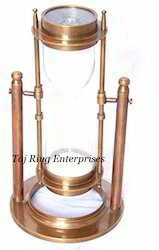 Total Ht:- 6.5" & Base:- 5.5"
Item Code:- TRE-ST07 Finishing:- Polish Shiny brass polish Enhances the beauty of our offered Nautical Brass Sand Timer Pen Holders. 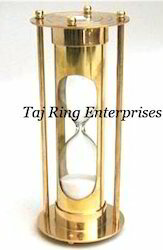 The Nautical Pen Holders are hand-crafted brass Reproduction of desk nautical items. 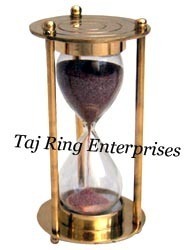 Awesome Style Brass Pen Holder With Sand Timer Sand Timer Engraved With Bottom " MARJAN ISLAND"
Beautiful Decoarative Sand Timer in your home, office any where .. 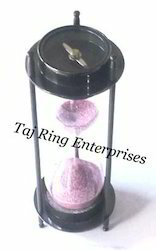 These timers are widely used to measure short time period, as these allow to pass sand from the upper to the lower glass sphere. 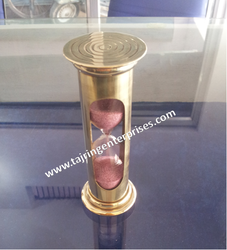 Nautical Polish Finish Sand Timer Wooden Base & Strip is full brass polish finish Marine Sand Timer. 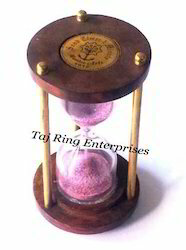 Nautical Awesome Finish Wooden Sand Time With Beautiful Wooden Brass Marine Sand Timer Nautical Wooden Sand Timer Sand Timer used for Homedecoration, Table Top , Office etc. 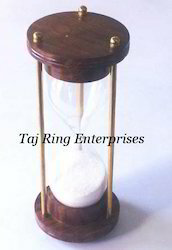 This Sand Timer Engraved With Top "SAND TIMER MARINE ART 1917"
Antique Brass Tmer With CompassHt:- 7" Wide:- 2.5" , Compass Dia:- 1.9"
Timer with Compass allows you to measure the passing hours in a uniquely elegant way. 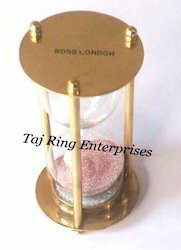 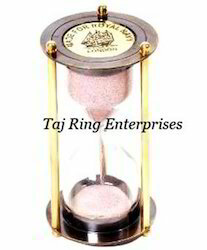 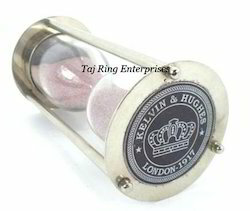 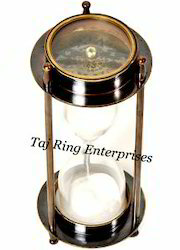 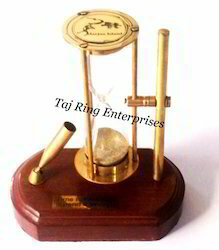 Sand Timer With Beautiuful Compass With Both Of Side..
Finishing:- Polish These timers are widely used to measure short time period, as these allow to pass sand from the upper to the lower glass sphere.